3 luxury categories that auction houses crave | What is it worth? Auction houses is now the marketplace for many of the finest luxury collectibles. For many years, the dominant categories were old master paintings, modern art and antiques. 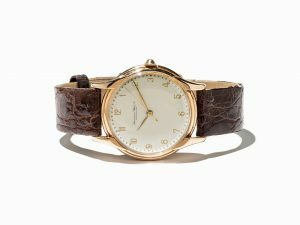 However, in recent years, vintage watches, rare jewelry and mid-century design have become increasingly popular among collectors and therefore a dominant force in the auction industry. Every reputable auction house now have specialized departments to handle these categories, and their main challenge is to uncover these treasures and present them to a growing pool of interested buyers. Here is a short introduction, with brands and designers, to 3 categories where you should consider selling at auction. If you want to get in contact with auction house specialist submit an item here for a free online appraisal. Vintage watches is still years behind the traditional art market and considered to be one of the important collectible categories in the coming years. Many different brands, not considered worthy enough for the auction market, are now doing exceptionally well. The usual suspect is, of course, Patek Philippe and Rolex. Here prices continue to rise, leaving these pieces in short supply. It has paved the way for other watch brands like Audemars Piguet, Vacheron Constantin, Tag Heuer, Omega, Breitling, A. Lange & Söhne and many more. 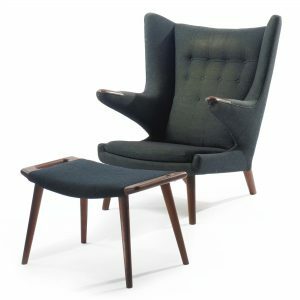 Mid-Century Modern has maintained its popularity and is now increasingly doing well at auction houses.The style is generally clean lines or organic curves and a touch of different materials that were not seen in previous furniture design. Numerous mid-century modern designers are idolized today and continue to inspire modern furniture design. Some of the designers that are sought after by auction houses include: George Nelson, George Nakashima, Hans Wegner, Finn Juhl, Eero Saarinen, Harry Bertoia, Arne Jacobsen. It is items from these icons that you should hope to find in the attic. Finding the value of your jewelry is a difficult task. What looks extremely valuable could be worth a few hundred dollars! And a simple ring, with a small stone, could be worth thousands of dollars. Jewelry is the manifestation of a treasure, but uncovering whether an item is in fact valuable is difficult. Look for hallmarks, used to attest the purity in gold or silver. If your item looks antique and a hallmark exist – taking it to an auction house specialist might be a good idea. If your item seems new without any hallmark, your item is most likely custume jewelry. 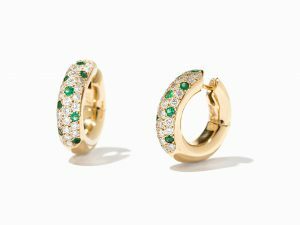 Notable jewelry brands that auction houses would love to sell include, Chopard, Mikimoto, Bvlgari, Piaget, Graff, Tiffany, Buccellati, Van Cleef & Arpels, Cartier and Harry Winston. Noma to go - trendsetting Danish Michelin restaurant sells its furnishings through the American auction house, Wright.